The Daily Dimwit: Trade o' Plenty! I really like the mini inserts, and luckily they are plentiful! 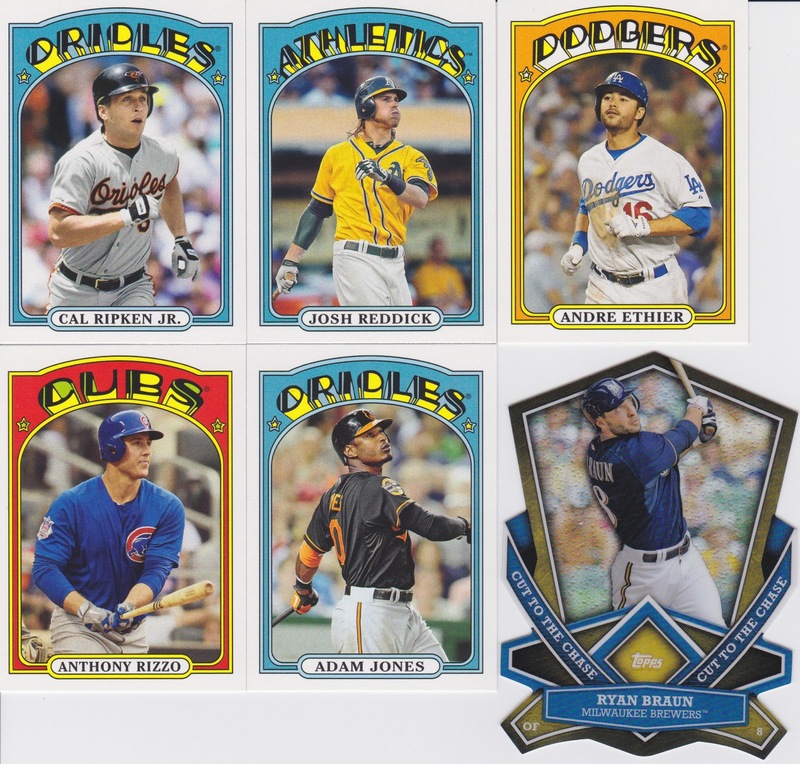 And I drool over the die cuts! Yes, for those wondering, I do have a want list... there are three insert sets I'm going after, these two and "The Greats". I have not published a want list yet, but if you want to make a deal then e-mail me and we can swap info. 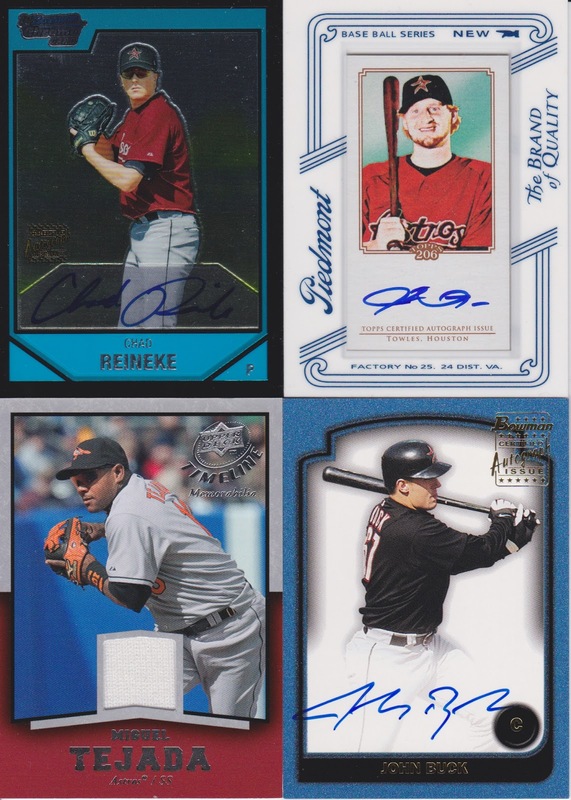 Next up, David aka Rhubarb Runner... he's had some vagabond Astros hits in his "For Trade" list for a while, and I had some Twins relics that weren't gaining a lot of attention, so a deal was struck! None of these guys are still with the organization, shocking I know, but the only one I'd still like to have is Buck. He was jettisoned to the Royals in the Carlos Beltran deal. Thanks David! I got a nice stack of Astros again, and this awesome Bagwell relic! Thanks Dan! Speaking of fans of lesser-followed teams, I want to say thanks to Zac from The Underdog Card Collector. Zac is returning to the hobby after some time off (familiar story around here) and he sent me a nice stack of Astros, Rangers and Nolan Ryan cards the other day, I forgot to scan them before I put them away, but thanks Zac, and all of you take a minute to add Zac to your blogroll, google reader or whatever bookmark you use to follow all your blogs. Ok, so Dennis sent along a big stack of Astros and Texans cards as well. Two more silks! I'm getting closer and closer! A funny thing on the Quintero, there was an eBay seller who had (2) of these, and I noticed his count of available Quintero's go from 2 to 1, and freaked out, buying the remaining one with a lowball offer. Then, this shows up today... and it's the same serial number as the one in the eBay post... DOH! Dennis bought the first one for me, then I picked up the second one... any Quintero fans out there????? Hahaha! 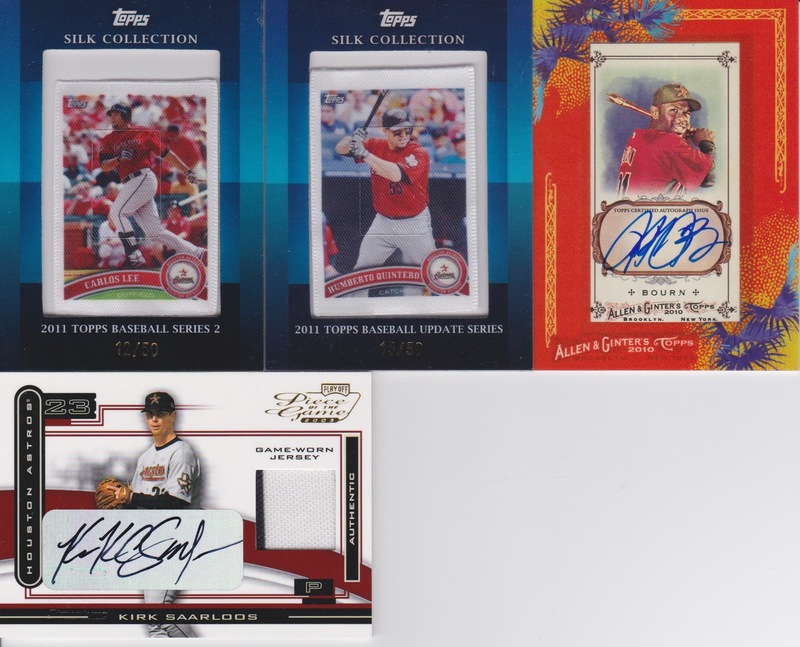 I really like the Bourn A&G auto and the Saarloos auto/relic is nice too! Thanks Dennis for another great deal! I got the Webb and it's amazing! Thanks for a great trade! 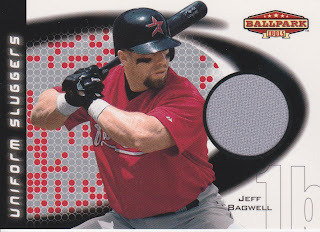 Glad you like the Bagwell! That's a good mail day alright. Congrats. I'm a huge fan of that years A&G border for the mini autos, as well as the "Piedmont's" in general. 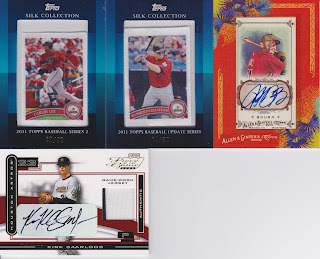 Great post, and after the $5 discount offer on the group break coming up, I'm considering adding the A's. We'll see. For now, I'm stoked with the Padres and hopeful for that randomized set to come The Underdog's way! Thanks for listing me in this great post, Sam! I hope the cards fit into your collection and I look forward to more card trades between us. Cheers!